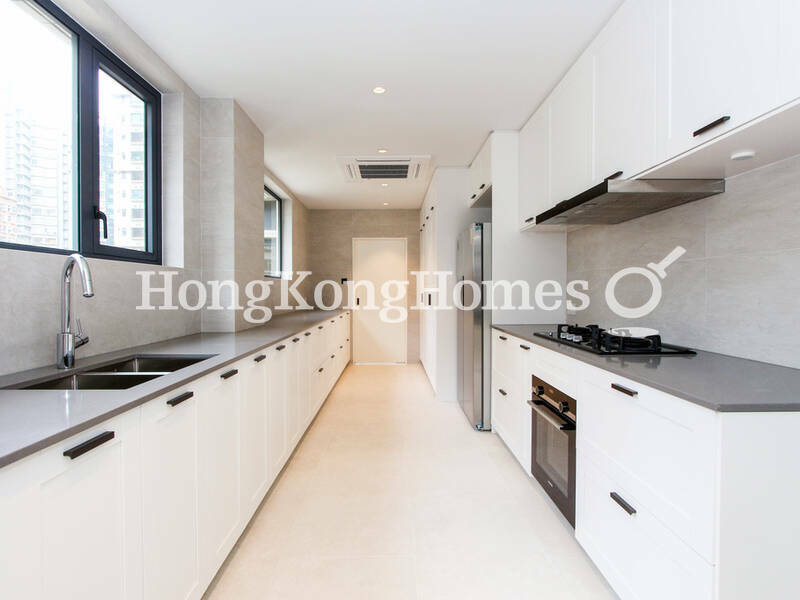 This spacious three-bedroom apartment is well renovated with quality wooden flooring, recessed lighting, and built-in storage. 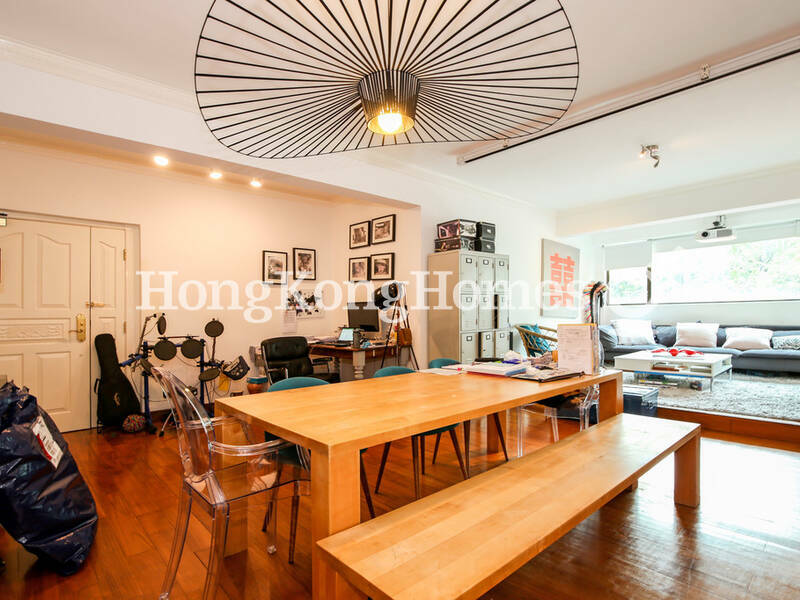 The combined living and dining area has a rather rectangular layout out for easy furniture arrangement. There is plenty of storage with built-in wardrobes and drawers in master bedroom. The second bedroom is also spacious. With built-in study desk and hanging cabinets, the third bedroom may be used as a study. Bathrooms are nicely renovated with quality wall and floor tiles, and are very well maintained. The kitchen is fitted with useful cabinets and counters, and well equipped with quality appliances. The attached maid’s room with its own bathroom. 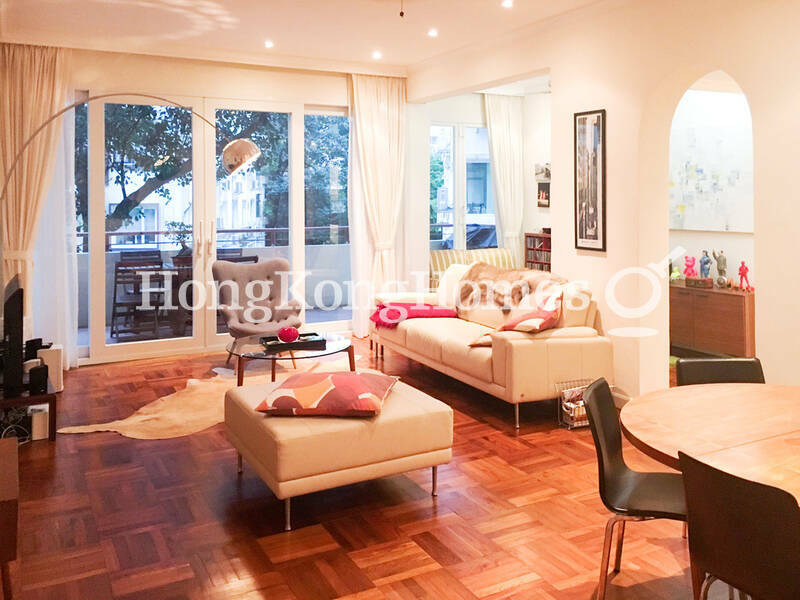 The entire apartment benefits from open views of Kennedy Town and greenery, and views of the harbor. This spacious 3-bedroom apartment with a traditional layout is located on the serene scenic area of Pokfulam. It comprises three good-sized bedrooms and a combined living and dining room with high ceiling space. The kitchen has an utility area/maid’s quarter attached. Surrounded by lush greenery, the apartment looks out to serene surrounding and has a vista of the sea. Windows facing the sea enjoy glorious sunset and capture the gentle ocean breeze. The property also comes with an extraordinary covered playground directly below the apartment with great potential for creating spaces of any practical or recreation usages by the new owner. The property is currently tenanted, with expiry at end of 2019. Charming, fully renovated colonial style apartment situated in quiet green surroundings a few minutes’ walk from Bowen Path and close to the CBD. The property features high ceilings, teak flooring and ceiling fans as well as split level a/c units. The kitchen is well equipped including a dishwasher and there is a generous living dining area leading out onto a large balcony. There is excellent storage throughout the apartment, all three bedrooms come with built in wardrobes and both bathrooms have cabinets. There is a very decent helper's room with it's own bathroom. Car park can be rented separately. This gorgeous country house is set within a serene and quiet neighbourhood consisting of 6 private homes. 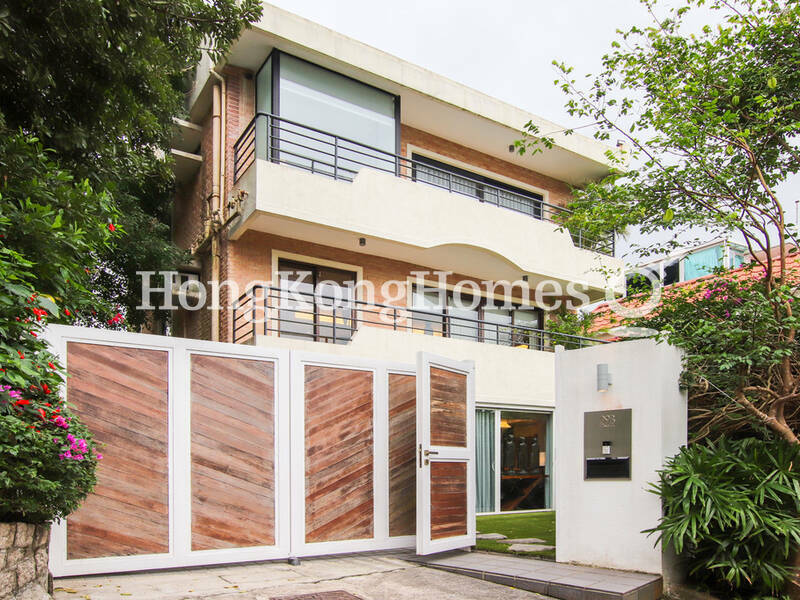 Situated on an exclusive road just a short distance from Clear Water Bay Road. This unique and well appointed home has been beautifully renovated, inside and out, by a Professional Architect and Interior Designer. It is surrounded by beautifully maintained mature landscaped gardens and external terraces with plenty of room for outdoor entertaining. The home is equiped with an automated entry which makes the property completely private and secure. The house is entered through a bespoke glass and steel doorway into a spacious Entry Foyer which opens on to the Formal Dining and Lounge Room. The fully equipped Western Kitchen on the Ground Floor can be opened up to the Outdoor Terrace for perfect Al Fresco dining and parties. The First Floor opens up onto the Family / Media Room and a Casual Dining Area. A large balcony running the length of the house provides beautiful ocean and country park views. There are also two well-appointed bedrooms on this level and a beautifully decorated second Bathroom. The luxurious Master Bedroom Suite anchors the Second floor. It includes a spacious Bedroom, a large Spiece Ensuite Bathroom and a large custom Walk-in Closet. 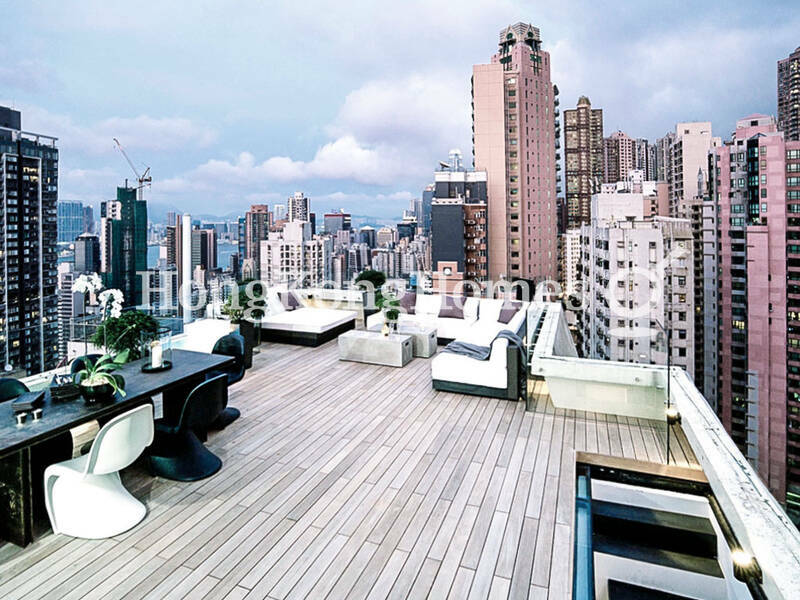 There is an additional private Master Terrace offering spectacular Clear Water Bay views. Also included on this floor is an additional 4th Bedroom and 4th bathroom. The private Roof Top Terrace provides endless views of the surrounding ocean and country parks. This house is for sale with Vacant Possession. Situated close to Times Square, this nicely renovated apartment is a true oasis in the heart of the city. It has a false ceiling with recessed lighting. The brick accent walls are painted in simple off white. The glass partition separating the bedroom from the living area is to make the apartment feel more spacious. The ensuite bedroom has good storage through the walk-in closet. The living area has an open kitchen. French doors in the living area opens to a large private terrace, which is great to outdoor dining and entertaining. Not to mention, the terrace will be equally welcomed by the dweller’s canine friends. 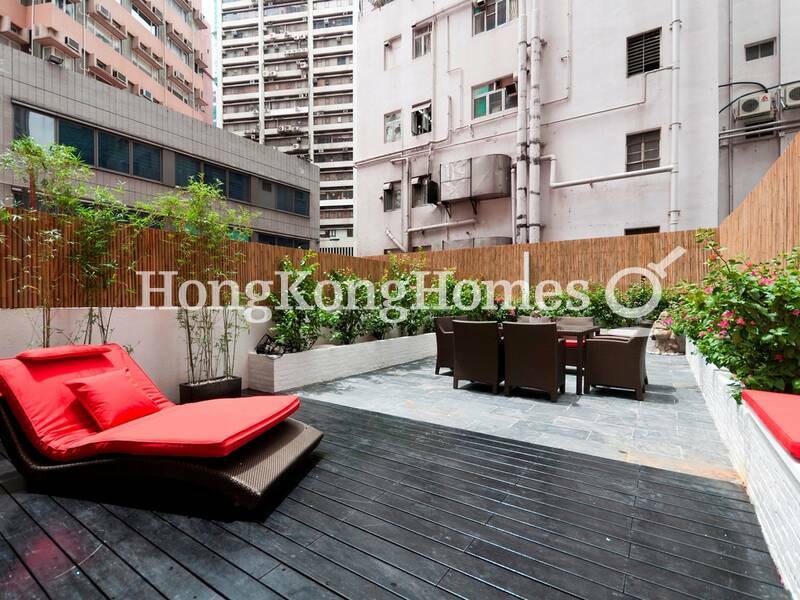 Priced at HK$7.5 Million, the price point is particularly suited for first time buyers. 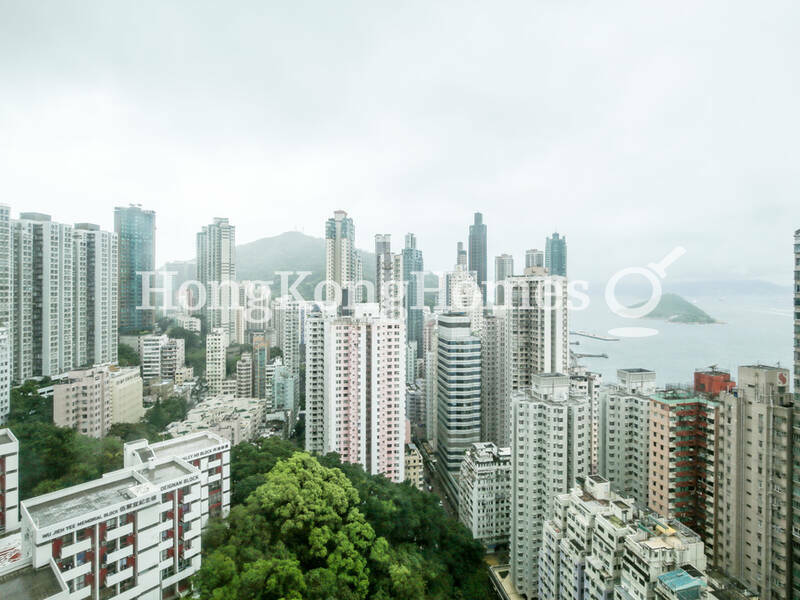 As an investment, the property can easily rented out at HK$28-30K and earning 4.5-4.8% return. 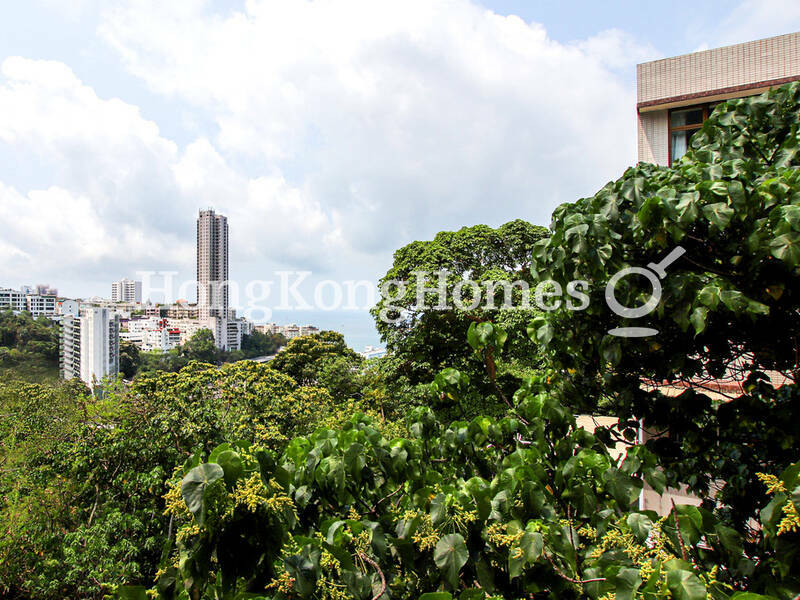 Located in a lowrise development on South Bay Road in a quiet part of Repulse Bay, this two-bedroom apartment enjoys greenery and partial sea views. It comes with a large private terrace garden accessed through the dining area. High ceiling together with an open kitchen give a sense of spaciousness in the living area. It has a good size master bedroom with an ensuite bathroom. The second bedroom is also quite spacious. The bamboo planters on the edge provide a placid backdrop for the terrace garden in addition to keeping the terrace completely private, making it is a good place to rest, to have outdoor dinners and to entertain. 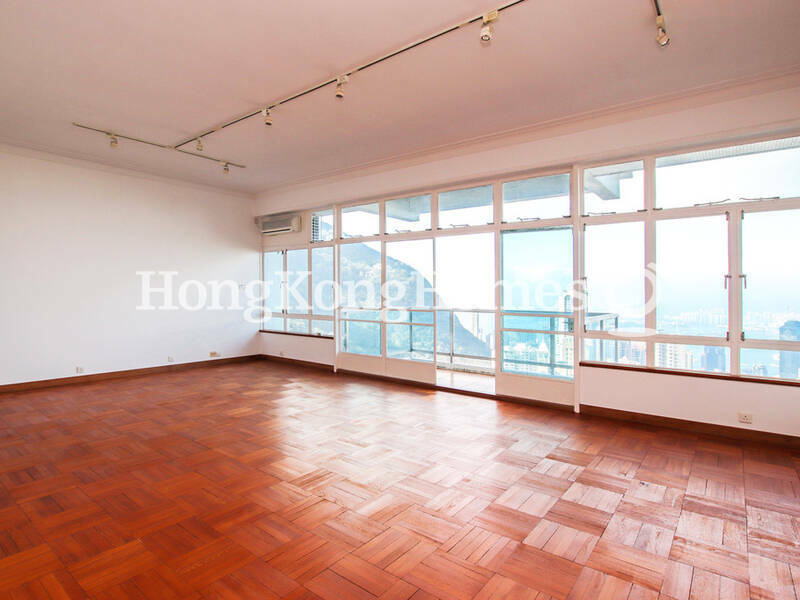 Currently tenanted, the property can be available with vacant possession within a few months. This loft style penthouse apartment is tastefully renovated with quality materials and equipped with top of the range appliances. Minimalist style living area has oak wooden flooring that goes well together with the brick texture walls painted in off white. The fully equipped open plan chef's kitchen is one of the high lights of the apartment. Dual aspect windows ensure plenty of natural light, good flow of natural air, and excellent views of the city and the harbor. The spacious bedroom has excellent storage. The ensuite bathroom has a double sink and walk-in shower. An internal floating staircase leads to a fabulous private roof top where amazing views of the city can be enjoyed.